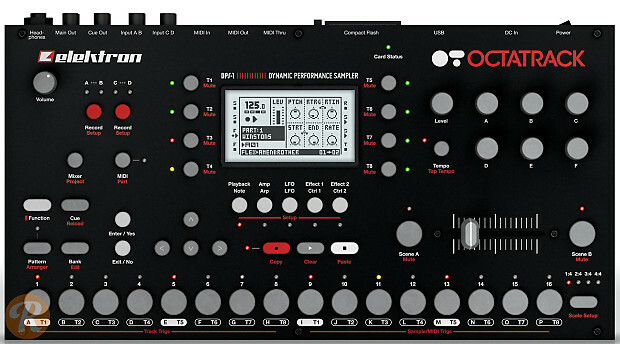 The Elektron Octatrack is new take and reinvention of the classic sampling machine. Providing 8 individual sample and sequencing tracks, the the Octatrack is a comprehensive and pioneering studio device that is also aimed at performance due to the intuitive user interface. In addition to providing 16 banks of 256 patterns, the Octatrack can also heavily process samples and incoming audio with dynamic pitch shifting and time stretching abilities to common effects like delays and filters.